It's the shortest month of the year. 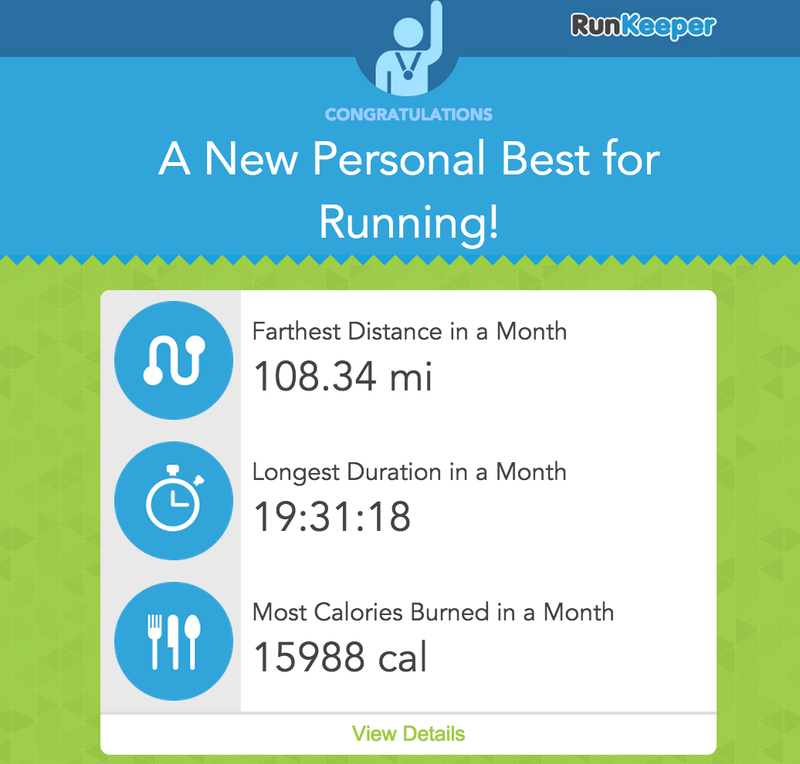 There are five days of it left, and already I have overhauled my "distance covered in a month" record, with probably another twenty miles or so to add before March rolls around. What can I learn from these stats? That this month I have run about the distance between London and Nottingham. That I have spent nearly an entire day running in February. There was an article in the Guardian the other day that saw a lot of debate in the comments about how "most people" only exercised for the sake of their own personal vanity - how they looked - or to live longer. Apparently, exercise will help you live for longer, but extra time you gain will not exceed the amount of time you spend exercising. I'm not quite sure how you measure and quantify something like that, but in the comments section, it was the cue for much self-congratulatory chatter from people saying that their time on the couch watching TV was time better invested. The idea that people might exercise for the sheer joy of it simply doesn't seem to come into it. I run for lots of reasons, and nowadays I'm driven by a compulsion that I don't really understand, but I wouldn't do it if I didn't find it fulfilling. Perhaps if you're not a runner, "joy" might sound a bit strong, and I'm not going to try to tell you that every run is a delight from start to finish, but there's something elemental about the pleasure you get from working your body like this; from disciplining your mind just as much as you are training your body. My training programme for this marathon has been weighing heavily on my mind recently and my days seem to be dominated by the thought of the runs to come (6.34 miles tonight, but I'm running to and from work on Wednesday and it's already in my thoughts). You know what though? The runs themselves have been great. They really have. They are sucking up increasingly large amounts of my time and leave me good for nothing much more than an early night... but they've been a joy.